Mahindra may be king of the hill when it comes to SUVs in India with their highly versatile portfolio starting from the agrarian Mahindra Bolero Pick up to highly polished XUV500 but the very hungry king back in November 2010, the Indian SUV Kingpin bought 70% stake in Korean SUV maker Ssangyong for a massive Rs 2,100 crore. The Ssangyong Rexton will be launched in the next six months followed by the Korando C.
Now that the acquisition in complete, M&M has already started work on products that will be used by both Mahindra and Ssangyong. Both companies are working on two platforms – one in India and another in Korea. The two platforms will be housing SUV bodies as that is the core competency of both the companies. The first product should be out by 2015. SMC’s portfolio consists of a luxury sedan, four SUVs and a multipurpose vehicle. 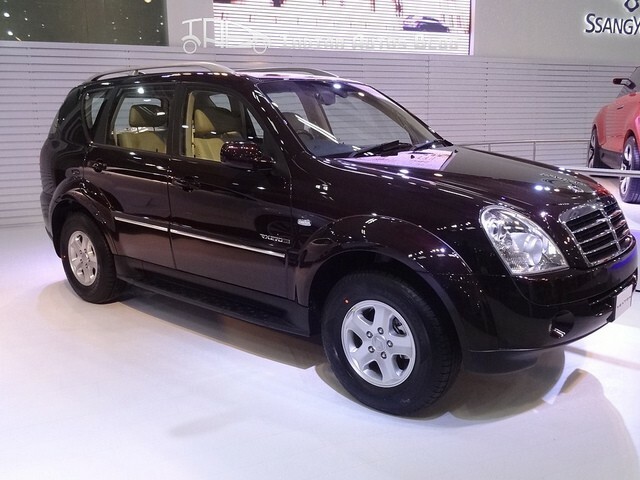 Rexton, an SMC product, will be launched in India in the next six months followed by Korando C. M&M is setting up an assembly line at its plant in Chakan, Pune, to roll out SMC products. SMC products will be marketed in India through M&M’s existing retail outlets. SMC is keen on expanding in emerging markets, like India, Russia and China. As a result, M&M is also considering commencing assembly operations for SMC products in Brazil, Russia and China in two years. Ssangyong to make India as their manufacturing hub? Is Mahindra interested in acquiring a part of SAAB?